The Retail industry is no stranger to “creative destruction,” the economic process, coined by Joseph Shumpeter, of “industrial mutation” which “incessantly revolutionizes the economic structure from within, incessantly destroying the old one, incessantly creating a new one.” Many have heralded eCommerce as the next disruptive force that will recreate Retail by obliterating bricks-and-mortar stores. Indeed, for the last 15 years, the online onslaught of “store-less” titans like Amazon and Netflix have in fact decimated neighborhood icons like the bookstore, the record store and the DVD rental. However, as I have argued before, the new “trend” in technology does not have to be simply destroy and replace. Rather, when innovative leaders can cross-pollinate disruptive technologies into traditional industries, there can be evolution and not just revolution. This is precisely what is happening in Retail today. While the industry is certainly undergoing massive disruption, the transformation will not lead to just a pure virtual commerce existence. Rather, the strong benefits of online, which come mainly from digitization, will be married with the very human need for physical and local experiences to create a more efficient and more wonderful shopping experience. This is a win for the consumer, and for the new breed of retailers that will digitize all aspects of their business but use this to understand and be where consumers shop. They will be able to better meet and exceed customer expectations and create a differentiating value proposition that leads to an overall better brand experience and longer term sustainable profitability. While shopping online is clearly growing exponentially, it is important to remember that it is still “only” about $1 trillion, or less than 20% of the global retail market. But despite the advantages, all is not peachy with the online juggernauts either. Amazon’s stock tanked last week after they announced Q4 2013 earnings. While investors have been tolerant of Amazon’s razor thin margins, betting on the future promise of current market expansion investments, they apparently will not support fundamentally unprofitable business initiatives indefinitely like the massive subsidization of Prime to spur user growth. Amazon itself sees the value and sustainability of bricks-and-mortar, recently launching its Kindle based checkout system as a new, in store, point-of-sale system. Amazon’s store-less model will become increasingly unsustainable as it moves into non commodity goods. And of course, Amazon’s cost structure is what it is partially because they benefit from the physical showrooms other retailers have built. Else Amazon may find itself having to invest in a few showrooms. And that is because there remain tangible benefits to physical stores. Feedback and recommendations with humans who can see you, group and social experiences, instant gratification (“free now” is still better than fast) and certainty of desire/fit are just a few. A recent study by Accenture showed that 78% of shoppers are “webrooming” (browsing online, then purchasing in a store) vs 72% “showrooming” (viewing in a store then purchasing online). In other words, each channel is reinforcing the other, depending on the use case. And shoppers buy more when they are actually in a store vs online as add-ons are more intuitive, browsing is easier and impulse purchases are higher, leading to not just higher sales for retailers, but higher margins. It is absolutely possible to bring many of these attributes online but will the experience ever be enough of a complete substitute? And does it need to be? Or can the two experiences be linked better in a more sophisticated way? I believe that using technology to digitize, analyze, make recommendations off of actual human behavior will be the key. The newly Empowered Consumer, who has leveraged technology to shift the balance of information away from retailers and into (literally) their own hands, will be met by the Savvy Retailer, who understands that mobile, social, data and cloud applications have disrupted almost every aspect of the way they interact and transact with shoppers. These retailers will modify their brand marketing, sales, commerce and support channels accordingly to predict, guide and incent the consumer along the entire pre-sale marketing, transaction, and post-purchase commerce journey. What will replace the shopper who “showrooms?” I believe the Savvy Retailer will exploit the physical store as one piece of a multi-channel approach to their customer. 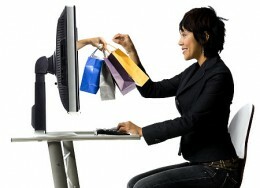 They will be better able to use data gathered from multiple sources to create profiles of their most profitable customer, proactively pull him or her into a local store, and then personalize the store experience through a combination of sensors that understand shopper behavior, digital catalogs, and digital-enabled human sales people. This will lead to finding the right product, whether in that location or another, or getting a relevant and informed recommendation of something similar i.e. higher sales and happier customers. Appropriate and relevant followups informed by actual purchase and behavior will keep customers coming back, either to the website or back to the store. Who are the retail leaders doing this today? Nordstrom, a leading retailer known for customer service and excellent shopping experiences, has been slowly bringing together its digital and physical experiences. They were one of the first bricks-and-mortar retailers to adopt multi-channel fulfillment, whereby something can be ordered through one channel, fulfilled via another and potentially returned via another channel. According to the company, “We know that our most engaged customers shop us in multiple channels and spend three to four times as much as other customers… Using enablers such as technology, Nordstrom Rewards, inventory access, supply chain, marketing, and merchandise returns that we can leverage across the company are critical in making for a seamless customer experience.”Below is a chart showing their evolution since 2003: Source: Nordstrom, Morgan Stanley ResearchWill Nordstom succeed? The world of omni-channel is still evolving, but the company’s ability to stay well connected with consumers is one of the key reasons Fortune named them to their top 50 “World’s Most Admired Companies” list. As one of the most successful technology companies, one might have assumed that Apple would sell only online. However, Steve Jobs always realized the importance of the human experience, and he designed the Apple Store, which launched in 2003, to convey “that Apple is a brand that has a magical quality.”Apple Stores bring in $20 billion a year globally in revenue, and themselves are profitable, with just under $60/visitor in revenue and $12/visitor in profit in the U.S. This does not include all of the sales they drive indirectly online.What’s different? The beautiful design experience is not just the about layout and aesthetic beauty, but also about exceptional service, largely enabled by technology. For example, shoppers can approach any sales clerk anywhere in the store to get information, lookup their account and purchase goods, right from the salesperson’s handheld device. The service model, based on the luxury hotel concierge model, has a focus on asking customers “How may I help?“It is nearly impossible to replicate this type of brand ambassadorship online. But even the Apple Store experience has to be constantly reinvented to keep it fresh, novel and compelling. Until recently, Apple Stores have been run independently of the online sales operation, which analyst Horace Dediu calls “a historical failure” which neglects how consumers actually view a brand and how they shop.Under new boss Angela Ahrendts, who previously was CEO of fashion house Burberry, the two will be united for the first time replicating the model she had at Burberry. This enabled the overall brand experience to be seamless, from the music played on the website and in stores to the photography and displays.Will this be a winning strategy for Apple? The company has the opposite problem of most bricks-and-mortar – less than 20% of sales come directly from physical stores. But they understand the important of each piece of the omni-channel experience and do not look poised for defeat anytime soon. Will eCommerce continue to displace portions of retail sales in a meaningful way? Yes. Will there be further consolidation to address the overcapacity in bricks-and-mortar stores? Yes. But real live human experiences are not dead. They have a role to play in the overall, omni-channel approach to branding, transacting and fulfillment. The goal of technology does not have to be disrupt, destroy and depersonalize. Rather, it can be used to optimize inefficiencies, increase service and personalization, and enable the creation of truly sustainable and profitable brands for the long term. ← 2014 Technology Predictions: The Death of Tech? Appreciate you this fantastic post, Now i’m glad I noticed this web page on yahoo.